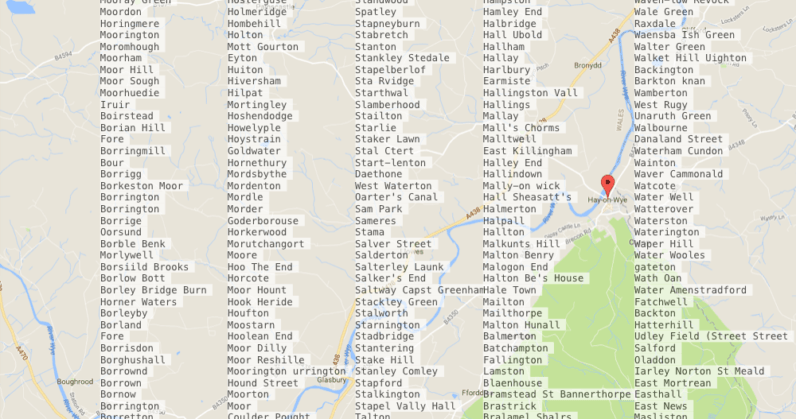 Digital transformation consultant Dan Hon, trained an AI to generate British place names ー because why not? This isn’t the first time technology is being used to spew random names either. Thanks to neural networks, a rescue center’s guinea pigs have cute names, new paint colors exist, and most importantly, parents will have a new way to choose their baby’s name. But to come up with brand new British places, Dan had to compile a list of 50,000 real places in the UK, including Wales, Edinburgh, and Belfast. From there, he chose a multi-layer recurrent neural network to use and let fate take care of the rest. The neural network also managed to include everyone’s favorite to the list ー Batchington Crunnerton. If you’re dying to check out the entire list of 202 names, or if you want to learn how to train your own neural network, you can read Dan’s original Medium post here.